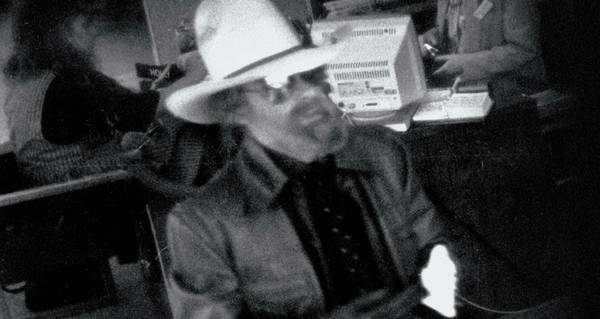 The twists and turns of the Cowboy Bob case fooled even the most experienced FBI agents. Texas MonthlySecurity footage showing Cowboy Bob heading out of one of his heists. The perfect crime (probably) doesn’t exist, but if it did, Cowboy Bob’s string of robberies would probably be it — a string of flawless crimes, a mysterious perpetrator, and a twist ending that shocked even the most experienced agents from the FBI. 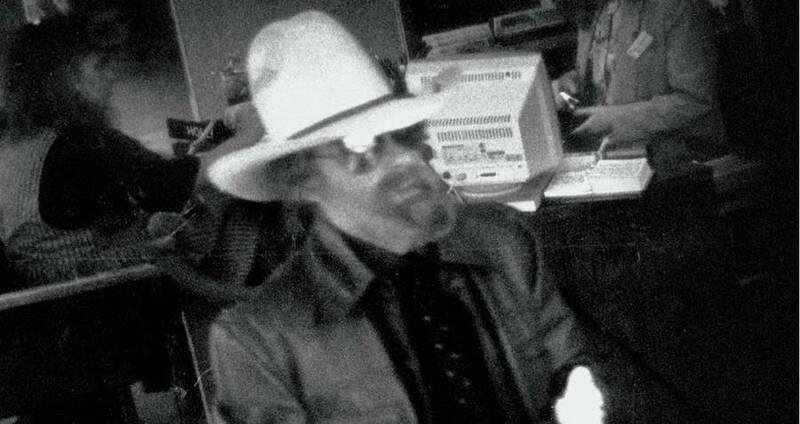 For over a year, between 1991 and 1992, a mysterious, 10-gallon-hat-wearing robber was roaming the streets, pulling off large-scale bank robberies with near-flawless execution. According to tellers testimonies, Cowboy Bob, so named because of his hat, was always calm, always unarmed, always polite, and always silent. He was thorough in his heist, steering clear of the security cameras, and checking each bill for marks or dye packs, small dye-filled devices that, when set off by radio, would stain the cash and the thief red. When he was finished, Cowboy Bob would casually exit the bank, place a new, stolen license plate on the back of his 1975 Pontiac Grand Prix, and drive off into the sunset. Due to the hat, the tellers never saw his face. The closest description that police, and later the FBI, were able to come up with was that he was around 5-foot-10, with a slight beer-belly, and graying hair and a beard. Due to the stolen license plates, police were unable to match the car to anyone matching the description. It seemed, to the officers on the case, that Cowboy Bob was the perfect criminal. Without any other leads, the police continued to trace license plate numbers, hoping that one of them would turn up with a real name. Then, finally, one did. 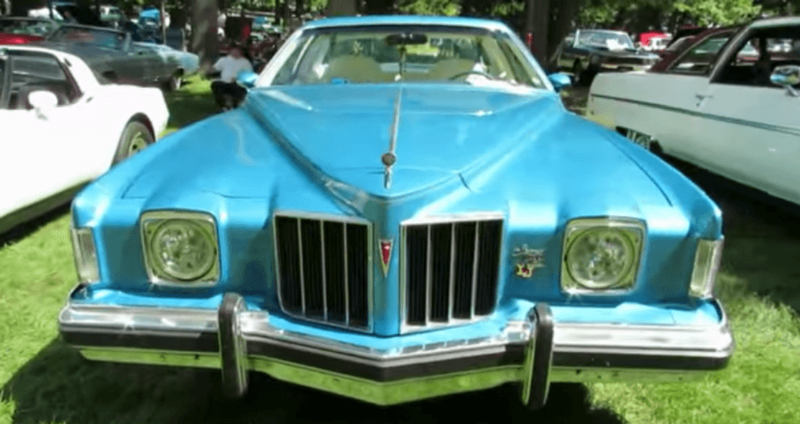 A 1975 Pontiac Grand Prix, the same type of car Cowboy Bob drove. Whether through cockiness or carelessness, upon leaving one of his robberies, Cowboy Bob forgot to replace his real license plate with a fake. The number was written down by one of the bank’s customers, who reported it to police. The license plate brought police to a Dallas car dealer named Pete Tallas. Thinking they finally had their man, they arrested Tallas, only to find out that he had never owned the car. Instead, he said, he had bought it for his sister, Peggy Jo Tallas, as a gift. Now, FBI agents believed, things were finally coming together. 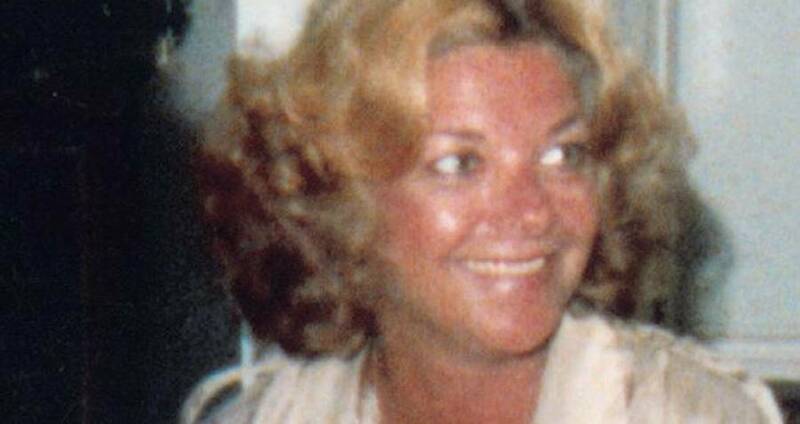 With the help of Pete, they tracked down Peggy Jo Tallas, paying a visit to her home, which they expected her to share with her boyfriend. Peggy Jo, they decided, must be the young, wild girlfriend of Cowboy Bob, a sort of modern-day Bonnie and Clyde. Though Cowboy Bob always robbed the banks alone, the girlfriend had to be in on it, either helping procure stolen license plates or hide the money. However, upon visiting Peggy Jo, they realized how wrong they were. Where they expected to find a wild young woman, there was a middle-aged, motherly figure, who lived in a modest two-bedroom home with her ailing mother. Though they knew there had to have been some mistake, they questioned her anyways. They asked her if she had a boyfriend or a husband, or if she’d heard about the recent string of bank robberies. Her answer to all of the questions was no, of course she hadn’t. She was simply a middle-aged woman, who spent all of her free time caring for her mother. Her story was backed up by family members, all of whom insisted that she had no boyfriend, and no time for a boyfriend — and most certainly not one who would be mixed up in something so criminal as robbing banks. Even when police searched the home, finding men’s clothing and a fake beard in the closet, Peggy Jo insisted she did not have a boyfriend. That was when Powell noticed something he hadn’t before. There, clinging to Peggy Jo’s upper lip, was a thin line of glue. In her hair were flecks of gray dye. Suddenly it all came crashing down. Peggy Jo had been telling the truth; her boyfriend wasn’t Cowboy Bob — she was. It started when her mother got sick. Most people the police interviewed claimed that that had been her breaking point. Prior to her mother’s illness, Peggy Jo had been a carefree, spirited young woman, looking to make a splash in the world. Unfortunately, when she became a caregiver, she lost her sparkle. She began to drown under medical bills, looking for a way to balance her current situation with the life she had dreamed of. So, she turned to bank robbing, thinking it was the easiest way to make a few extra bucks. She ended up enjoying the thrill so much that she continued to rob banks even after she had enough cash — which ended up being her downfall. Peggy Jo ended up being tried and convicted of her crimes as Cowboy Bob and serving three years in prison. By the time she got out, she was almost in her 60’s. Her mother passed away, and she took a job at a marina, where she became a local favorite. Parents of little kids loved the extra attention she gave them, and the older locals always said how quick she was to jump at the chance to lend them a hand. Before long, she was famous in her little town, her kindness outweighing her sordid history. However, in 2004, Peggy Jo’s restless, carefree spirit returned. She figured she’d pull off one last heist for old times sake, and use the money to move to the beaches of Mexico, where she’d always dreamed of living. But, in her older age, her wits had begun to fail her. Rather than go through an elaborate plan, and don a disguise as she’d done in the past, on this heist she was simply herself, wearing sunglasses and a wide-brimmed sunhat. She was also careless — her thoroughness was lost on her, and rather than check the bills she simply grabbed them, never noticing the dye pack shoved between them. It exploded as she took the bills, foiling her elaborate plan. She fled the scene, running to the RV she had parked in the lot. Police were alerted, and after a short chase, cornered her in a residential neighborhood. As cops surrounded the RV, Peggy Jo came out, armed, for the first time in her life, with a gun. Police were hesitant to shoot, knowing she had never resorted to violence in the past. Peggy Jo, however, was having none of their hesitance and dared them to shoot her. Texas MonthlyPeggy Jo, during her final face-off with FBI agents in 2004. “You mean to tell me if I come out of here with a gun and point it at y’all, you’re not going to shoot me?” she yelled. Four officers then fired at once. Upon further inspection, the officers realized that the gun in her hands had been a fake, a toy pistol she carried with her to instill fear. 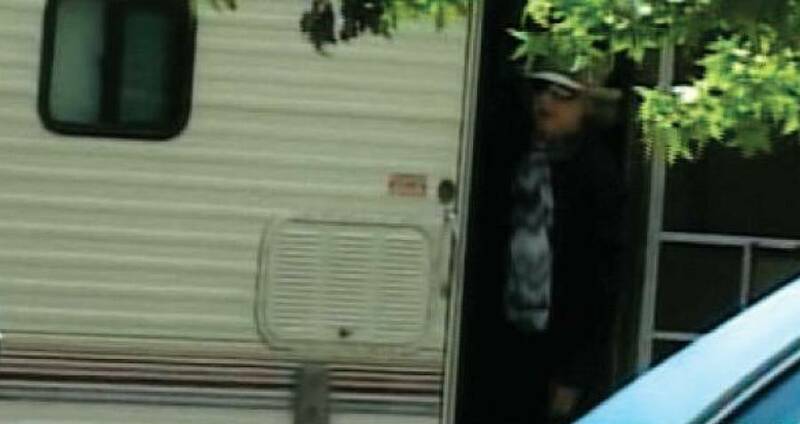 However, in her RV, they found a very real, very loaded .357 Magnum. They removed Peggy Jo from the neighborhood, along with her RV full of stolen cash, all at once ending the years-long crime spree of Cowboy Bob. Though her capture was a win for the FBI, her death wasn’t without sadness. After all, her spree had kept the FBI on their toes and captured their attention for years, giving Steve Powell some of the best experience he’d ever gotten. In fact, upon hearing about her death, he expressed remorse, replying to the death of his old nemesis with an almost wistful air. “Say it ain’t so,” he said. Enjoy this article on Peggy Jo Tallas? Next, read about the gruesome death of the real Bonnie and Clyde. Then, check out the crimes of some of history’s most sinister women.